Looking for an Experienced Automotive Sales Representative with an interest in joining our team! We are looking for high energy, out-going, proven auto sales professionals. Previous Automotive Sales experience IS REQUIRED! Previous Acura sales consultant experience is a PLUS. Health, dental, vision, 401K and paid vacations! Family owned and operated with an excellent reputation in the community! Great location providing plenty of floor traffic! Curry Acura is Looking for a responsible, motivated and organized individual to fill a full time receptionist/greeter position for a luxury auto dealer. .
Answering and directing all phone calls at the main switchboard. Greeting and directing all customers. Light admin/clerical duties as needed. There is a large volume of phone calls that come into this location, so the ideal candidate should be able to multi task and be productive in a very busy & fast paced environment. Punctuality, perfect attendance and a professional appearance is a must for this position. Curry Acura is seeking an Automotive Service Advisor with a minimum of 1-year experience. The Service Advisor must satisfy service concerns of all customers and ensure that service is performed at the highest level. Curry Acura is seeking an experienced Automotive Technician with minimum of 3 years’ experience to join our growing team. Must have your own tools and a NY State Inspection license. 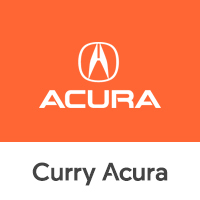 Curry Acura is seeking a full time Lot Attendant/ Porter. Must be responsible and have clean driving record. Must be computer literate. Apply in person @ 685 Central Park Ave, Scarsdale NY 10583. Ask for the receptionist at the front desk in the showroom for an application. Responsibilities include straightening our lots, Inspecting and checking in truckloads of cars, running various earns ect. Full Time Internet Sales/BDC Representative.